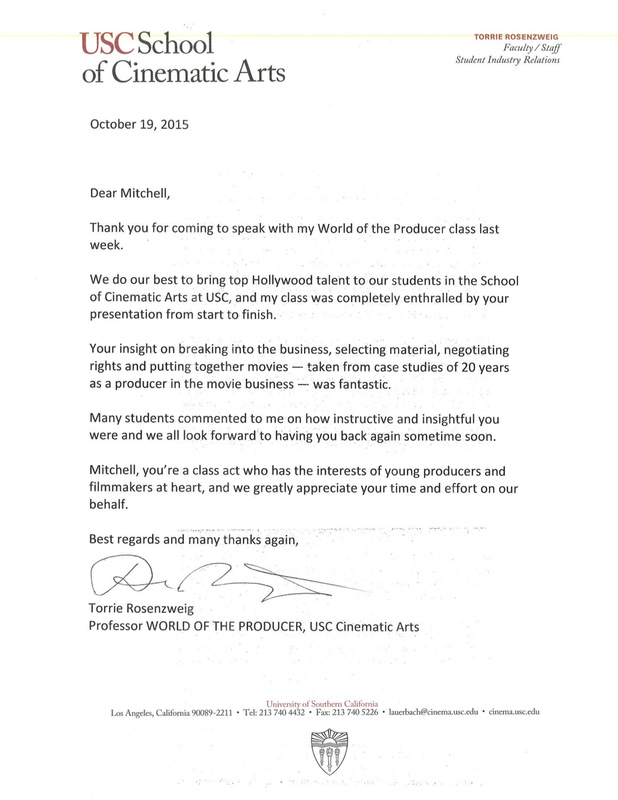 School of Cinematic Arts at USC -- Lectured on breaking into the business, selecting material, negotiating rights and putting together movies. Invited by US Embassy in Cyprus to speak in the conflicted island's "neutral zone" (separating Greek Cypriots and Turks) to aspiring filmmakers from both sides, bringing the artists among them together. Hosted Stage 32 Webinar, "Anatomy of a Hollywood Movie Deal: 7 Case Studies of Success."